Israeli jewelry just got cooler. 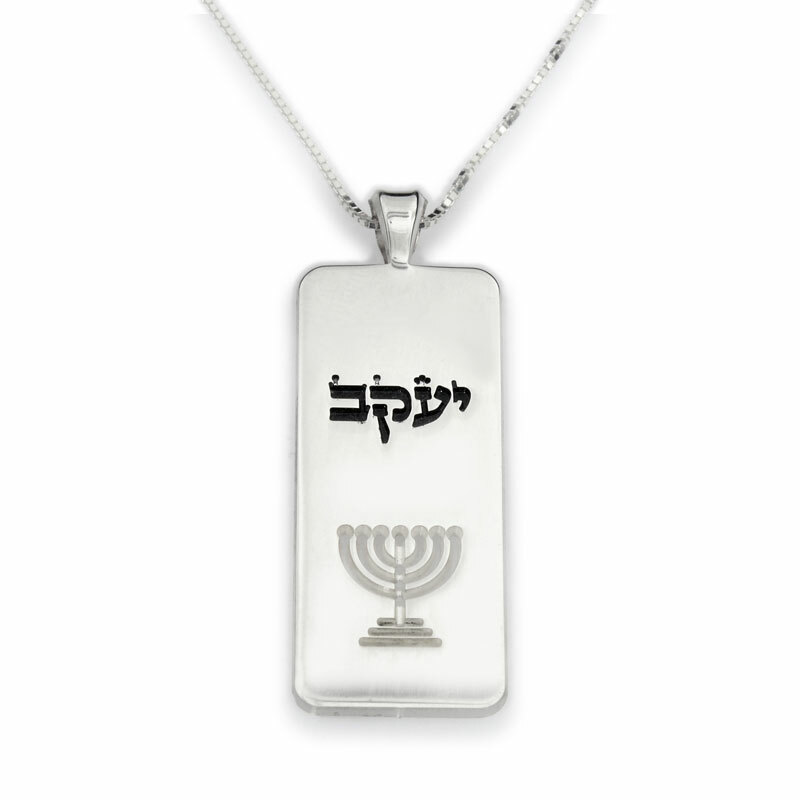 Wear your Jewish national pride in a fashionable style with this elegant, personalized dog tag pendant. 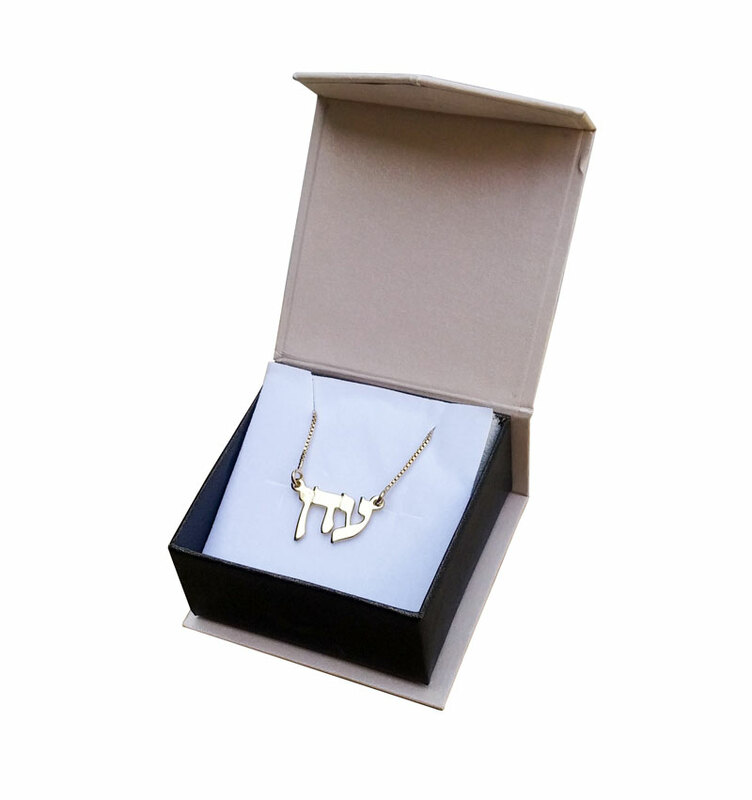 It can be engraved with your name in Hebrew, and features a charming cutout of the six-branched Menorah. This beautiful, stylish dog tag pendant name necklace is a special way to wear your Jewish and/or national identity with pride! The silver colored dog tag can be engraved and personalized with your name or the name of a loved one in a stylish Hebrew font reminiscent of ancient calligraphy used to this day in traditional Torah scrolls. The tag is also decorated by a cutout of the six branch Temple Menorah, one of the present-day State of Israel's symbols, completing the piece of Jewish jewelry. The menorah was a sacred candelabra used in both the Tabernacle and the more permanent temple structure, the Beit HaMikdash, in Jerusalem. It was the duty of the priest to ensure each branch of the menorah was lit. The menorah disappeared following the Temple's destruction, but its iconic silhouette remains a part of the modern Israeli nation's culture and art. Since this engraved jewelry is hand-made and carefully crafted individually, it could take up to 3 days for the item to be shipped. personalized items will only be accepted for return if there is a mistake or defect in the product.